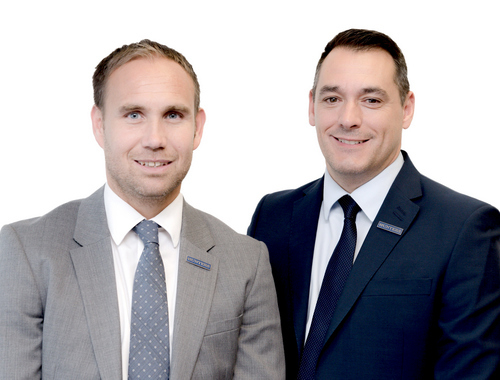 Hunters Estate Agents in Downend is owned and operated by David Vincent and David Bamforth who have both worked in the branch, under the name Besley Hill since the year 2000. This makes them both the most experienced property valuers in the area with a combined experience within the industry of nearly fifty years! Hunters, Downend pride themselves on offering a high level of professionalism, customer service and an unrivaled local knowledge of selling, letting and valuing homes in the area. The team at Hunters Estate Agents in Downend have been responsible for developing an enviable reputation within the area and is made up of fellow Director Sara Vincent who is responsible for handling sales progression matters. Sara has nearly thirty years experience and will carefully nurse all sales through from our office from start to finish. The team is completed with Sales Negotiators Sarah Hargett, Donna Durnell and Kirsty Williams, all of whom live locally and our office administrator Lianne Efthymiou. In order to provide high quality property particulars, we employ a professional photographer and combine modern technology with old fashioned hard work to ensure we achieve the best possible value for your property. After a horrific service from another Estate Agent I was recommended Besley Hill (Downend) now Hunters. I must say that David Vincent was especially excellent given my previous experience. David sensitively handled my new sale and purchase which (included a long chain). We are now settled in our new Welsh home and so grateful to the staff at the Downend Branch. Click to view preferred suppliers for Hunters Downend. VAT Reg No: 821 8736 21 | Registered No: 04948096 | Registered Office: 10 Badminton Road, Downend, Bristol, BS16 6BQ. A Hunters franchise owned and operated under licence by Vincent & Bamforth Limited. Downend is a residential outer suburb of Bristol. It is in the South Gloucestershire local district, located to the northeast of Bristol bordered by other suburbs in South Gloucestershire which include: Staple Hill, Frenchay, Mangotsfield and Emersons Green. The local High Street (Badminton Road) where our branch can be found has a variety of independent shops, national supermarkets and banks as well as several coffee shops, pubs and restaurants. The area has several popular parks and green spaces close by which are great for dog walking. It has excellent transport links to the M32, A4174 (Ring Road) & M4/M5 access. Easy reach of the Bristol Cycle Path and Bristol Parkway train station. Downend is mainly a family area with a large choice of excellent schools for all ages. Downend properties are varied in style and age from lovely Victorian terraced homes, 1930's and 1950's built semis which are a popular choice for a families and several modern recently built developments. In Downend, there is something for all type of buyers.